The X3 comes with BMW’s iDrive infotainment system, satellite radio, Bluetooth, a USB port and a 10-year subscription to BMW Assist eCall, which can automatically notify first responders after a collision. For 2016, the X3 comes standard with enhanced USB and Bluetooth features, including an additional microphone, Bluetooth sync for a second phone, library browsing via Bluetooth, voice control for contacts and music and a Mobile Office system. Available features include leather seats, a surround-view camera system, navigation, a Harman Kardon surround-sound audio system, a head-up display, a panoramic moonroof, front and rear parking sensors, blind spot monitoring, active park assist and lane departure warning. The iDrive infotainment system takes a bit of getting used to, but is fairly straightforward and works well, reviewers agree. The audio and climate controls are also clearly labeled and easy to reach. The BMW Lottery is approved by the United States Gaming Board and also Licensed by the International Association of Gaming Regulators (IAGR). Scam alert! The E-mail above is a SCAM. It’s a Nigerian Lottery scam, the story and all names & roles are fake. 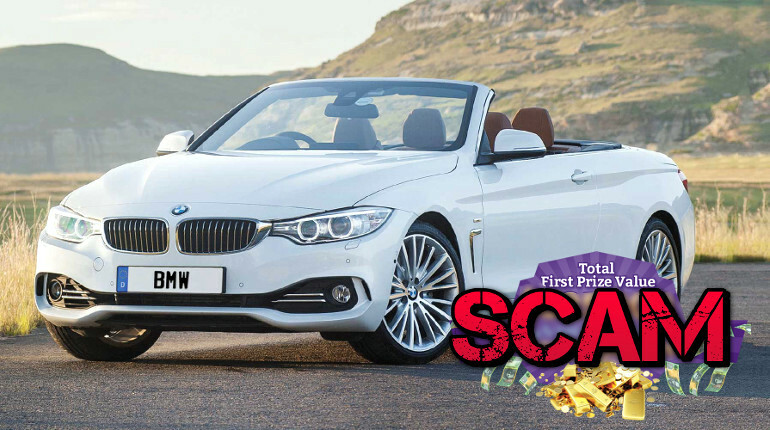 BMW has nothing to do with this scam. The scammers will most likely ask you for money upfront as ‘costs’ before you get ‘your prize’ (which you will never get offcourse).